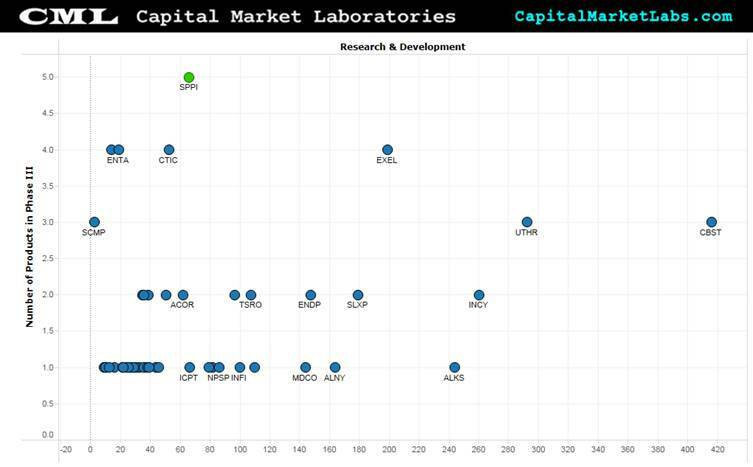 The graphs below were produced by Capital Market Labs. A critical factor in assessing pharmaceutical and biotech companies is the quality of their drug pipelines. This is especially true as investors begin to look at the smaller companies in the space; the smaller the company, the more an investment is simply a bet on that particular pipeline. 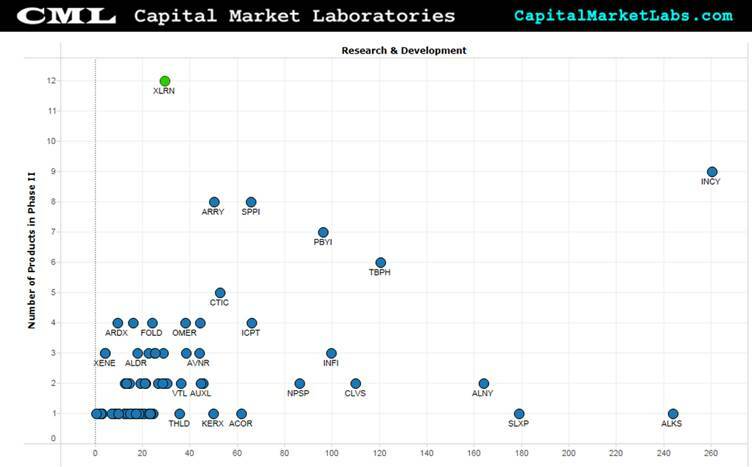 So, let's take a look at who has the most robust pipelines among pharmaceutical and biotech companies with market caps less than $20 billion. We'll focus on products that have already reached the clinical trials stage, as they are more likely to reach market, and reach it sooner. First, let's look at Phase I Clinical Trials, plotting the number of products in Phase I Trials on the y-axis and R&D Expenses (in Millions of USD) on the x-axis. The clear leader is Threshold Pharmaceuticals, Inc. (NASDAQ: THLD), with eight products in Phase I. Next, in Phase II, Acceleron Pharma Inc (NASDAQ: XLRN) is the clear leader with 12 products. Finally, we'll look at Phase III, the products closest to reaching market. Spectrum Pharmaceuticals, Inc. (NASDAQ: SPPI) is the leader with five products in Phase III. To pull this all together, let's focus on the top performers in each Phase. 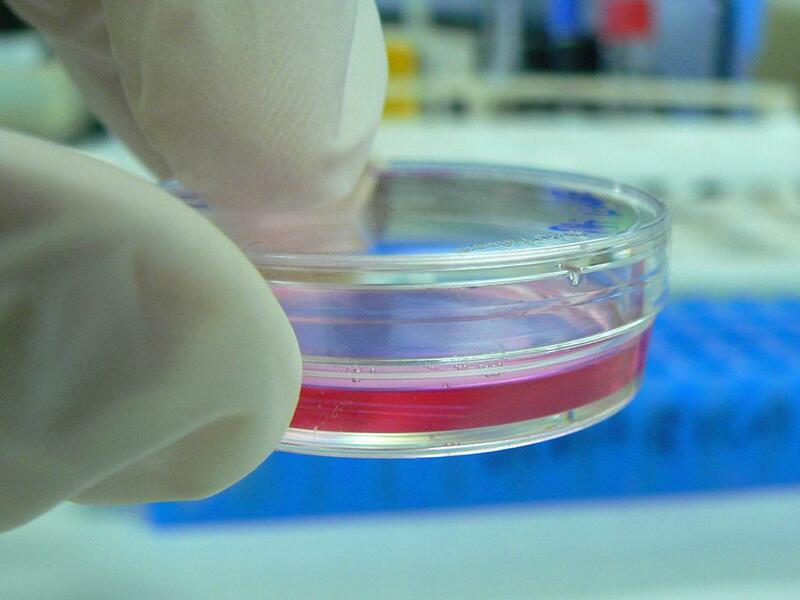 For Phase I, the companies with five or more products are: Ultragenyx Pharmaceutical Inc (NASDAQ: RARE), Argos Therapeutics Inc (NASDAQ: ARGS), Oncomed Pharmaceuticals Inc (NASDAQ: OMED), Peregrine Pharmaceuticals (NASDAQ: PPHM), Calithera Biosciences Inc (NASDAQ: CALA), Threshold, Incyte Corporation (NASDAQ: INCY) and Array Biopharma Inc (NASDAQ: ARRY). For Phase II, the companies with five or more products are Acceleron, Incyte, Array Biopharma, Spectrum, Puma Biotechnology Inc (NYSE: PBYI), Theravance Biopharma Inc (NASDAQ: TBPH) and CTI BioPharma Corp (NASDAQ: CTIC). 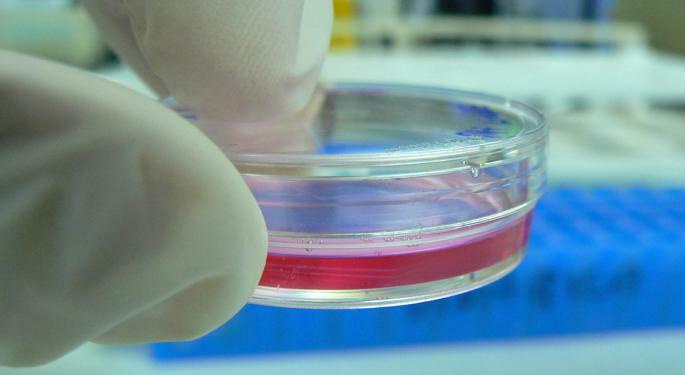 And for Phase III, the companies with three or more products are Spectrum, CTI BioPharma, Orexigen Therapeutics, Inc. (NASDAQ: OREX), Enanta Pharmaceuticals Inc (NASDAQ: ENTA), Exelixis, Inc. (NASDAQ: EXEL), Sucampo Pharmaceuticals, Inc. (NASDAQ: SCMP), United Therapeutics Corporation (NASDAQ: UTHR) and Cubist Pharmaceuticals Inc (NASDAQ: CBST). 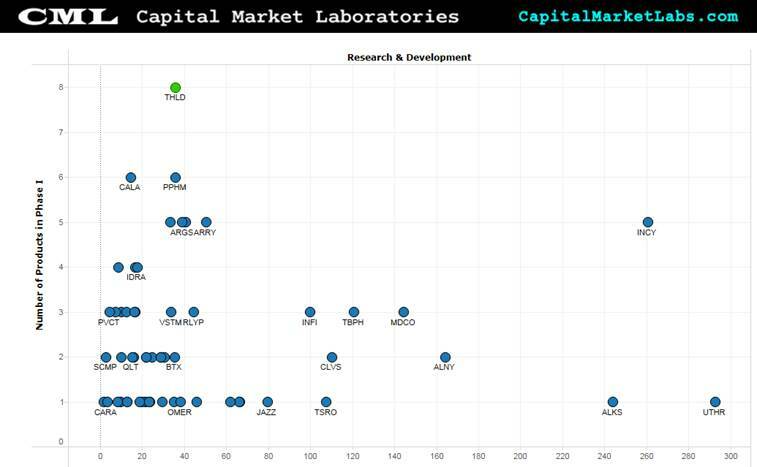 That yields a portfolio of 19 distinct stocks exhibiting strength in some part of the clinical trials pipeline. Now, let's see how the market is valuing these companies. To do that, Price-to-Sales is the best valuation metric and is plotted on the y-axis. R&D Expenses are again on the x-axis. (Price-to-Sales data was unavailable for Puma, Ultragenyx, Calithera, Argos and Theravance). The clear outlier here is Acceleron, with a Price-to-Sales Ratio of nearly 43 as of the last quarter's end. That's increased to about 58 this quarter. 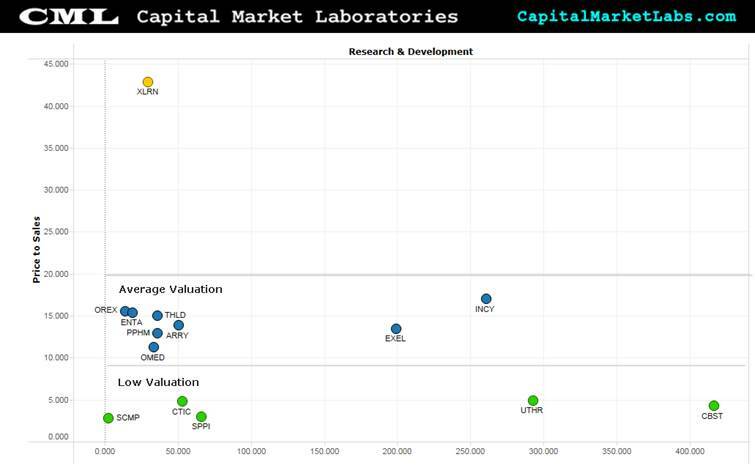 At the other end of the spectrum, one finds Sucampo, CTI BioPharma, Spectrum, United Therapeutics and Cubist with what may be modest valuations given their robust pipelines. Lastly, a quick note on Cubist: The company is in the process of being acquired by Merck & Co., Inc. (NYSE: MRK). It's possible Merck felt that Cubist's valuation was modest enough that it tendered an offer of $102 per share -- a 35 percent premium over the $65 range Cubist had been trading at previously. Tom White can be found on Twitter @tbwhite67.